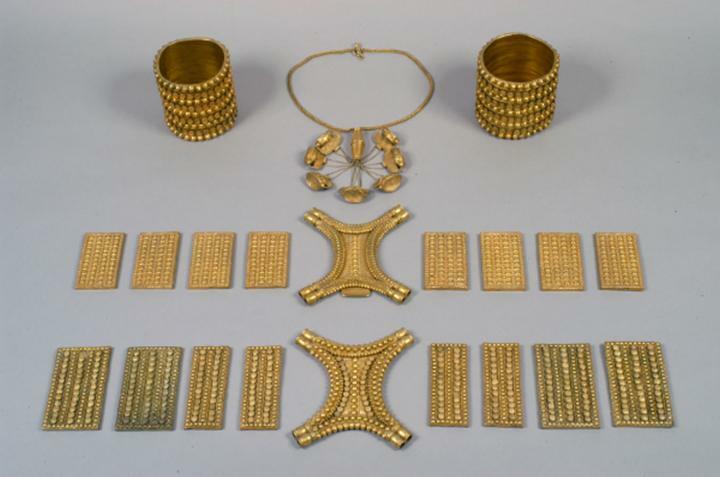 The Carambolo Treasure is an assemblage of gold items of the first millennium BCE, whose origin has for about 50 years been the epicentre of a heated debate. New chemical and isotopic analyses, carried out by the UPV/EHU's Geochronology and Isotopic Geochemistry Service – Ibercron and commissioned by the University of Huelva and the Archaeological Museum of Seville, suggest that the source of the gold is not thousands of kilometres away from where the treasure was discovered but a deposit located only 2 km from the spot. The Geochronology and Isotopic Geochemistry Service – Ibercron is part of the SGIker organisation of the UPV/EHU. The scientific and technical head of the Service is Prof José Ignacio Gil-Ibarguchi of the Department of Mineralogy and Petrology of the Faculty of Science and Technology.